Prominent & Leading Manufacturer from Palwal, we offer cement concrete hardener, tile hardener, non metallic floor hardener, chemical hardener and concrete hardener. Cement Concrete Hardener. Fly Ash Bricks ChemicalHardener We are more.. ... DC-01 is a premixed, ready to use powder, designed for application as a dry shake over a freshly floated concrete floor or floor screed to obtain a highly abrasion resistant surface. 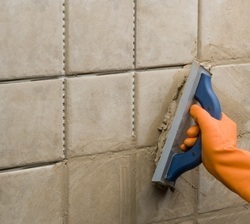 We are the leading supplier of TILE HARDENER made available to our clients at competitive prices. 785 GENFLOR NON-METALLIC FLOOR HARDENER is a silica aggregate-basedconcrete hardener for use in commercial and industrial concrete floorapplications. It will provide hard, durable floor surfaces. The product is available in natural or 20 standard colours. LIQUI-HARD concrete densifier and chemical hardener compound is a proprietary, water-based, ready-to-use, clear silicate liquid, formulated with chemically reactive raw materials to harden and dustproof concrete. ... This process produces a substantially denser concrete surface with enhanced durability. LIQUI-HARD concrete densifier and chemical hardenercompound is a proprietary, water-based, ready-to-use, clear silicate liquid, formulated with chemically reactive raw materials to harden and dustproof concrete. ... This process produces a substantially denser concrete surface with enhanced durability.